Fire off plentiful streams of fabulous bubbles that are lit in colour as they emerge from the funky Light Up Bubble Gun Wholesale! 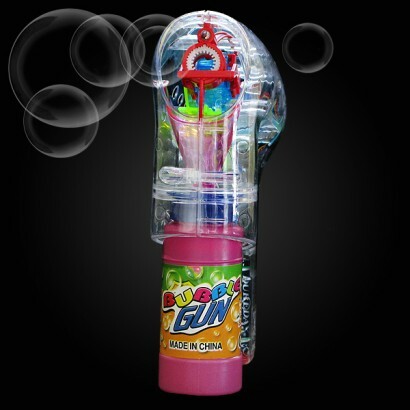 Fabulous fun that kid's and adults love, colourful LED's flash as you pull the trigger and light up your bubbles! 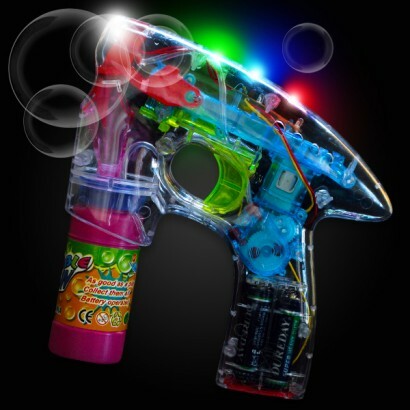 Perfect for parties, and a fantastic disco effect, this funky gun is ideal for adding a little magic to events!